I didn’t know what to call these. 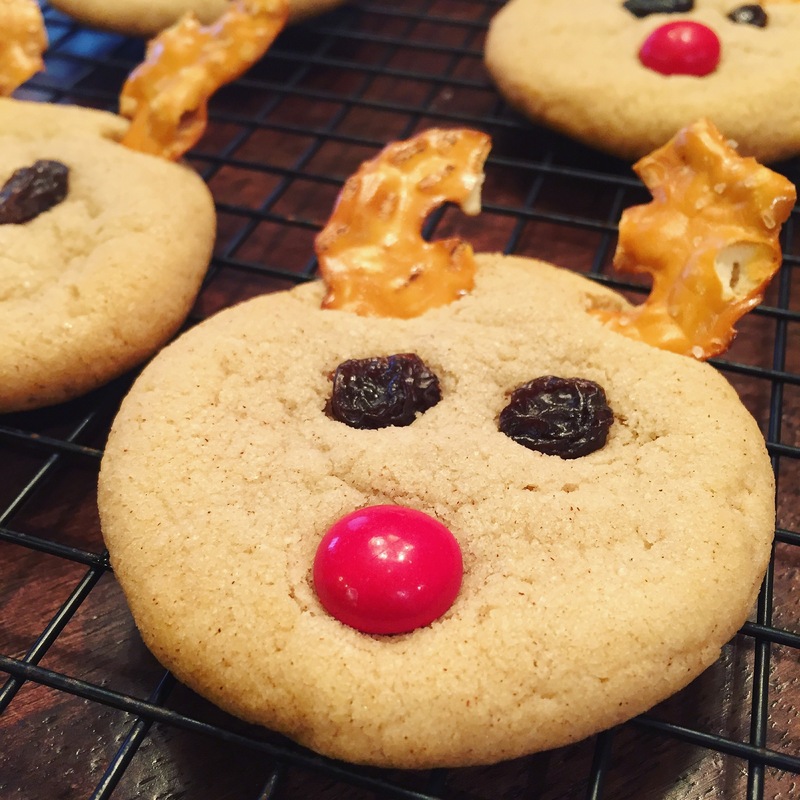 The cookie itself is a cinnamon cookie, and then I made them look like Rudolph, so…. there ya go! Super easy and too cute, right?! Kids will love these and they are just so stinking adorable. Another great cookie to add to your holiday dessert table or cookie exchange. I actually saw similar cookies on Pinterest made with peanut butter, but I wanted to do something a little different. 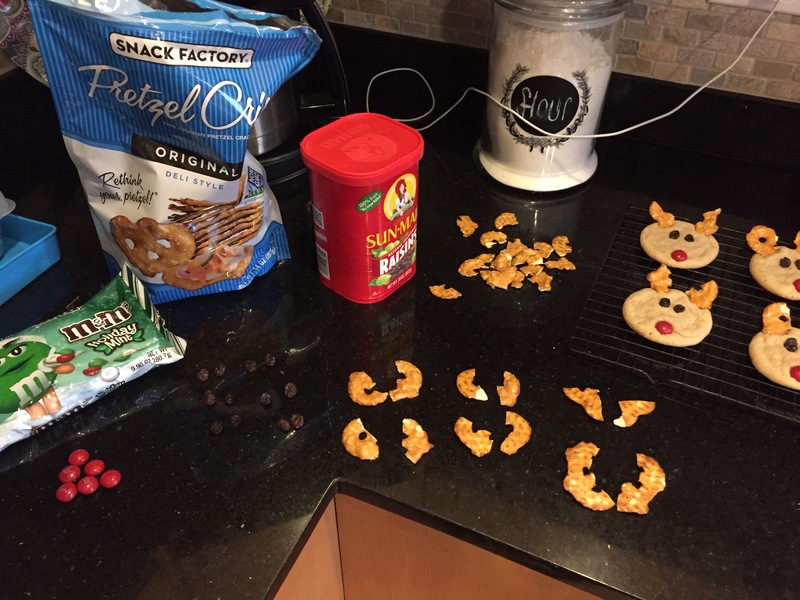 I love cookies where you can be creative and have your kids join in on the fun! Have them decorate cookies with whatever ingredients they want and see what they come up with 🙂 So, let’s go! In a bowl, whisk together the flour, cinnamon and baking soda. Set aside. In a large bowl, or bowl of your electric mixer, beat butter, oil and both sugars until creamy. Add egg and beat until combined. Slowly add in flour mixture until dough is formed. Cover with plastic wrap and refrigerate for 1 hour. Preheat oven to 350 degrees Fahrenheit. Take about a tablespoon of dough and form a ball, pressing down lightly onto the prepared cookie sheet. Space the cookies out fairly far apart, as you need room to put on the antlers after they bake. Bake for about 10-11 minutes. 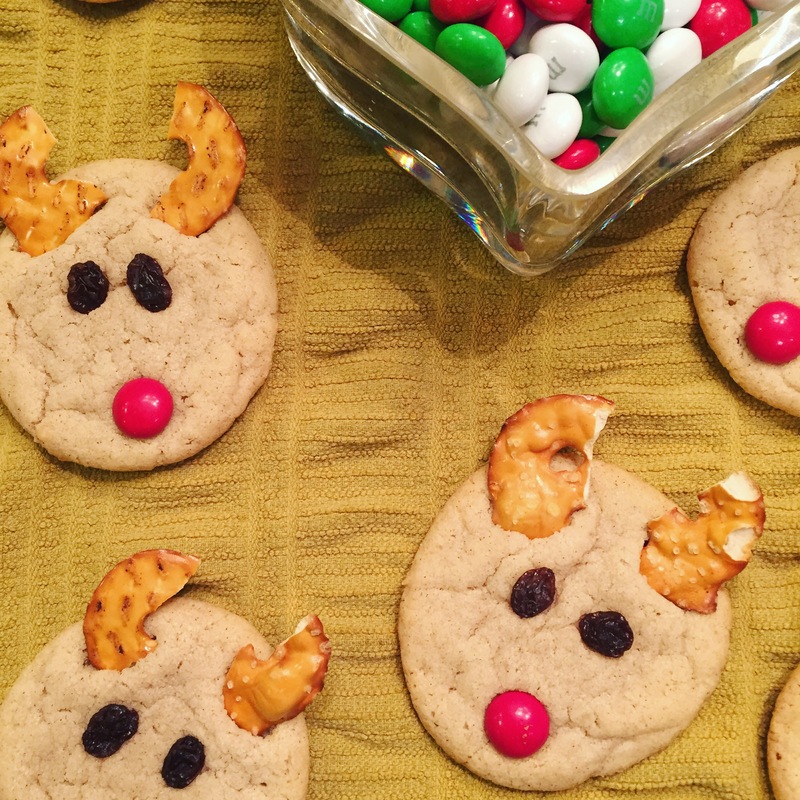 As the cookies are baking, get your reindeer ingredients ready. In the picture below I have my 6 sets of antlers, 6 sets of eyes and 6 noses. 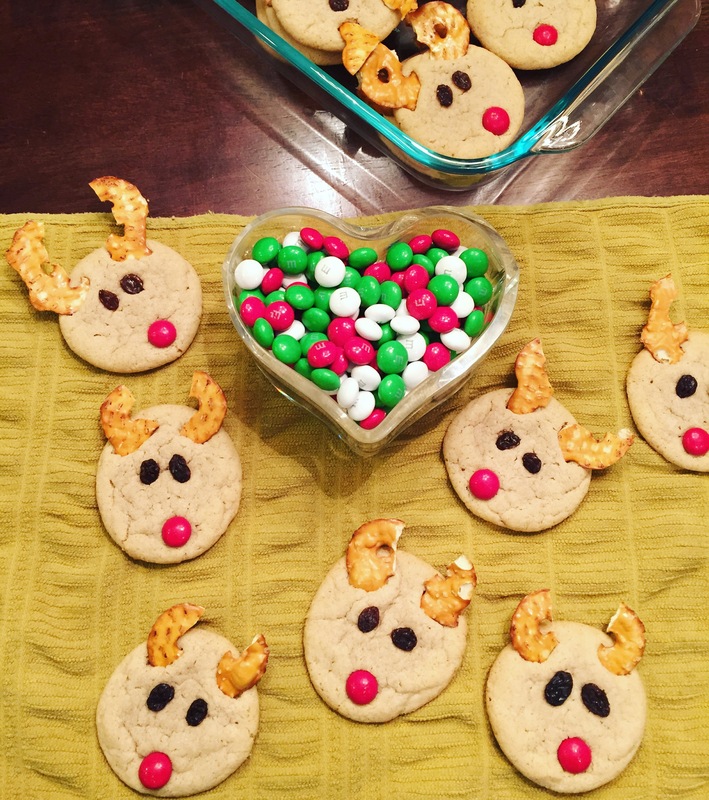 As soon as the cookies come out of the oven, gently press the antlers, eyes and noses into the cookies. Transfer to a wire rack to cool completely. Enjoy!